Over the years, multiple varieties have made the news for one reason or another. Some, like Gewurztraminer, suffer from difficult to pronounce names. Others suffer from identity challenges. Chardonnay anyone? Still more are actually difficult to get to a bottle in once piece without the high involvement of the dedicated growers to make quality wine. Here are a few of those challenging personalities and how much work needs to be done behind the scenes to create our favorite wines. Carneros Grower, Jennifer Thomson of Thomson Vineyards states “genetically many Pinot Noir clones display thin skins, tight clusters and compact berry formation which is a haven for pests and makes Integrated Pest Management essential for growing high quality Pinot Noir.” Grape berry moth, Mealy bug, and a host of other pests love Pinot Noir for its nooks and crannies in which to hide. She tries to achieve “a balance between location, clone and seasonal characteristics” in order to grow great Pinot Noir. There are so many varieties in the world, it would be impossible to name all the difficult ones at one time. Zinfandel, Pinot Noir, Petit Verdot, and the Rhone Whites tend to have the greatest reputation for being finicky but there will always be growers out there willing to deal with their challenging personalities. * This article was originally written by me and published on Snooth.com however I also really wanted to share it with my readers that may not have had the chance to see it there. This version is the un-edited original sent to Snooth.com and does not contain any omissions or editing from their version. I LOVE Vancouver. If I had to choose an international city to live in , it would be a toss up between Paris and Vancouver. 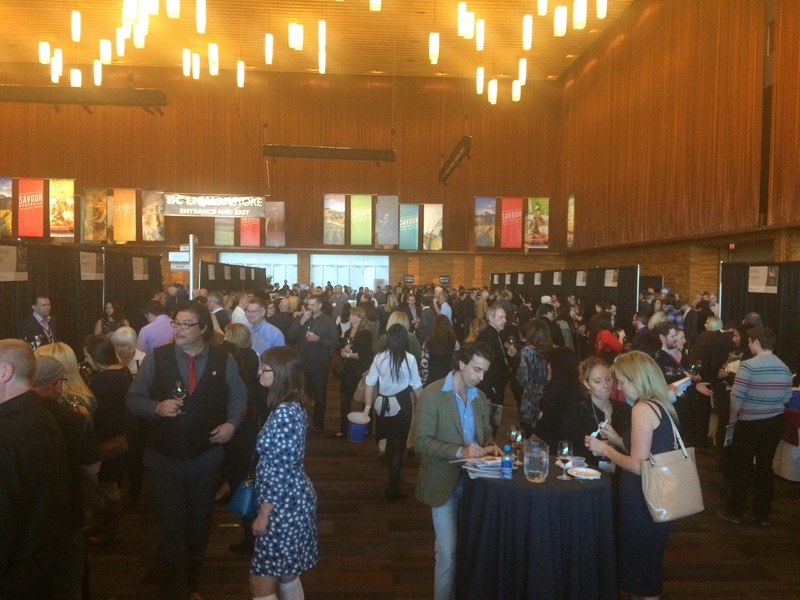 I also love talking about wine to people and the Vancouver International Wine Festival gave me the opportunity to do that in such great surroundings. I learned several amazing things at the festival this past week. 1) Robert Mondavi is credited with starting the festival. Many people came up to me to let me know this fact. He is very well respected here and one person even credited him with being the catalyst for Vancouver’s thriving wine and food scene that is has today. This further cements my belief that Mr. Mondavi was a force to be reckoned with and full of boundless energy and passion for sharing wine with people. I only hope that I can live up to at least half of that for my career. 2) Canada has some startlingly good wines. From the austere and crisp Benjamin Bridge sparkling wine (Light and Bubbly) to the ripe and luscious Burrowing Owl Cabernet Franc (Spicy and Smoky) that we had with dinner last night, to the elegant and intense Inniskillin Ice Wine (Sweet and Luscious), Canada has some amazing wines to offer and we rarely see them in the rest of the world. I find with most countries to which I travel the best wines are the ones that are found domestically and Canada is no different. 3) The Vancouver International Wine Festival is Fantastic! 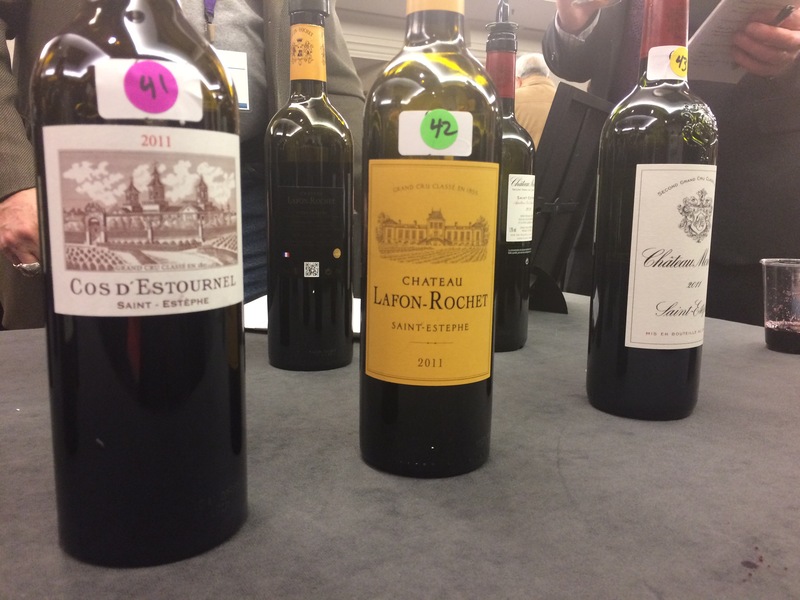 It is well organized, well run, and has enough representation from all countries that you feel you have indeed sampled a large portion of the world of wine but not so large that one can easily be overwhelmed. One of my MW study partners, Matt, and I had enough opportunities in between pouring to run around and work on our blind tasting skills with virtually every style of wine we would need in the room. Ice was never too far away and rinse water was plentiful. There were enough people emptying spittoons that they never were more than half full at any given time. This year’s country of focus was Australia and admittedly, while I am not a huge Shiraz fan, the wineries really put on a good showing with lots of Rieslings, Chardonnays, Semillons, Cabernets, and Bordeaux blends to get a good sense of what is going on down under. 4) Leather pants appear to be back in style. I counted no less than 15 individuals sporting leather pants. You see one person and you assume they are quirky and perhaps a bit non-conformist. You see two people, and you think vaguely wonder if it is protection from the still slightly chilly wind. You see 6 people and you wonder if you missed a fashion article on how the new trend for spring is leather leggings. You see 15 people and it is pretty certain that the leather pant/legging is here for the season. 5) There are many types of VIWF visitors. There are those which are jaded and wander the rooms glancing above your heads at the signs, peering over the shoulders at the people currently being served at your table, with a non-interested aloof look that suggests they are wondering what they are doing among the rest of the rabble in the room. 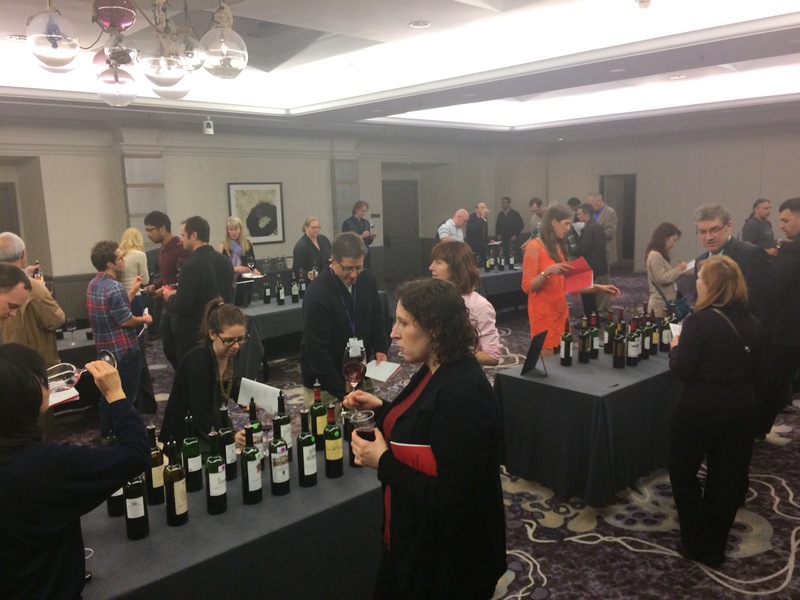 There are the interested tasters who resolutely work the room picking and choosing from the different wines and occasionally asking questions. There are the people with plans and are on a mission announcing at their arrival that they are ONLY tasting Pinot Noir today! There are the new to wine tasting visitors that don’t realize they are supposed to be spitting and within 20 minutes of the start of the tasting they are already weaving about and you end up spilling wine on them because they can’t hold their glass steady enough and you are trying to pour the smallest amount possible without looking like you are trying not to serve them. There are other winery representatives, taking a break from their own booths to tour around the room. Then there are my personal favorites, the avid enthusiasts, that have great questions and generally will come with one to 3 other avid enthusiasts. Once these types find out one is a winemaker, you’d best be on your top game! “How do you know when to pull a wine out of barrel?” “What is the meaning of neutral oak?” “What’s the difference between Napa Valley and Carneros?” “What process do you use to determine your blends?” I love these folks. It makes my time at the table very exciting. 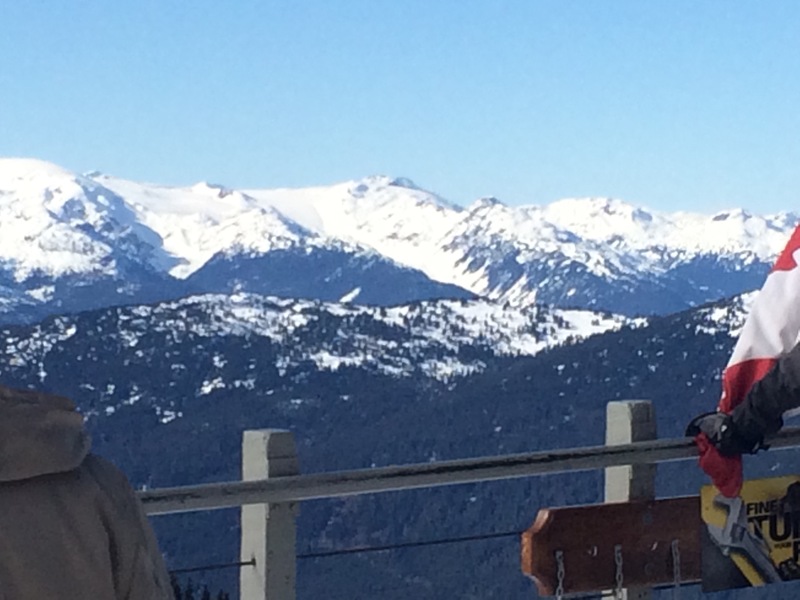 I loved my time in Vancouver this week and it was a fitting finale to my time as the red winemaker for Robert Mondavi. At the end of this week, my family, and I are driving out of Napa bound for New York. I can’t believe it has gone by so quickly! Don’t worry though. I still have plenty of blogging left in me! Stay tuned for next Monday!